Georgia is an outdoor enthusiast’s paradise, but some of its best features can’t be seen from your car’s window. This state is best experienced up close, and the right bike makes all the difference. With a seemingly infinite system of biking trails and plenty of bike-friendly towns and cities, it’s easy to explore on two wheels. 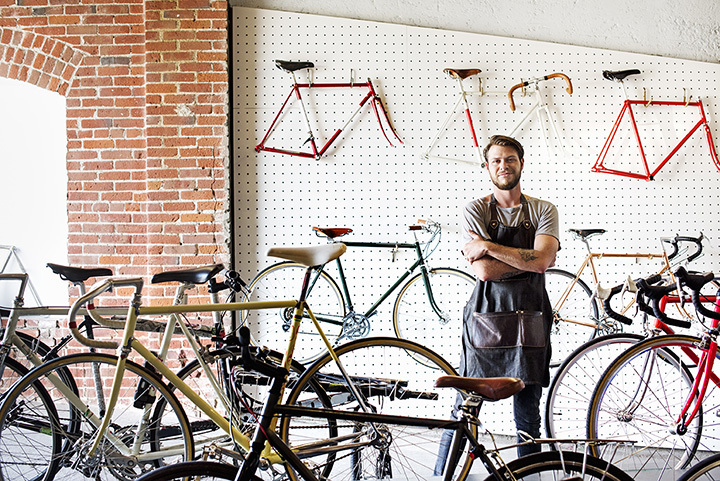 Of course, not just any bike will do—here are the 10 best bike shops in the state! This full-service bike shop is in the heart of Georgia’s mountain biking scene. The local biking community has helped the shop to thrive, making them the first choice for bike sales, service, and area expertise on how to get the most from their time on the trails. The store hosts group rides every Saturday morning, which are open for all to join. Road bikes, mountain bikes, kid’s bikes, cruisers—whatever your style, Intown Bicycles can help you fuel your passion. They’ve got a variety of every type to meet your needs, and can help you choose the best bike for your skill level and goals. They’re also a one-stop shop when it comes to spare parts, repairs, and routine maintenance. This bike shop has been helping others find their two-wheeled passions for over a decade, and they’ve grown the biking community in Columbus. Once you roll into their shop, you’ll appreciate the first-rate selection, expert service, and the satisfaction of knowing you’ll be rolling out with a great bike. For servicing needs, they’ll let you know the cost before you get your bike service to avoid any surprise fees or expenses on your side. Expect nothing but the best from here. This small, independently owned bicycle shop keeps their shop small so they can offer personalized service to their customers. However, that doesn’t mean you won’t find diverse a treasure trove of bikes inside. They assemble every bike by hand in their shop and will help you choose the best one that fits your style. With three locations around Atlanta, you won’t find a better collection of bikes anywhere else. They’ve got a bike for every occasion, from trail riding to road racing to BMX, electric bikes, and ones for young bikers just learning to pedal. If you can’t make it into their store, you can shop their entire inventory of bikes and accessories online. Savannah folks have been relying on Star Bike for over 40 years and counting, and that’s not likely to change any time soon. As the city’s oldest bike dealer, you can expect to find some of the best brands in the biking world, including Diamondback, Haro, Trailmate, and more. They’ve also got a full suite of accessories and apparel and an on-site service shop for your convenience. Here you’ll be shopping with a team of fellow bikers who are passionate about the sport and have extensive experience they can put to work for you. Their shop is just a short drive from one of the best bike trail systems in the Southeast so you can put your new purchase to the test immediately. Whether you ride on the road or in the mountains, they’ve got a bike for you. If a new bike isn’t in your budget, you’ll want to pay a visit to the Bike Store. They offer financing so you can score your new ride and make payments that make sense to your finances. Here you’ll find top-notch brands like Trek and Trailmate so you can rest assured you’re getting a bike that will last. Part bike sales, part skateboard shop, you’ll love the superior service you get from this place. They’re a full-service shop, meaning you can have it serviced from the same place that sold it to you. They’ve got the largest selection around to give you plenty to choose from. If you need your bike fixed fast, you’ll want to bring it here. They offer a 48-hour guaranteed turnaround for all servicing and repairs. Fans trust them for high-quality bike sales because of their price match to ensure they’re not paying too much for a bike, along with their 30-day satisfaction guarantee. You can’t go wrong shopping with them.